This is the great initiative taken towards the rail university. Gujarat: On 5th September on the occasion of Teachers Day, PM Narendra Modi-led NDA government has gifted India its first railway university. This is the first railway university has been opened in Gujarat’s Vadodara. 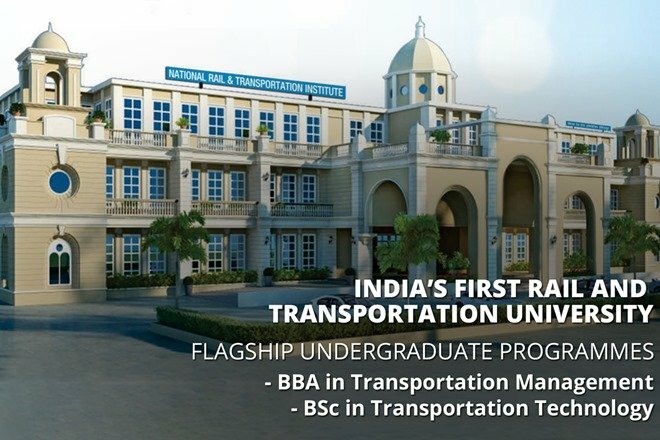 In order to begin with, the railway university plan to teach two courses; B.Sc in Transportation Technology and BBA in Transportation Management. In the next two year, there is a plan to add five more courses that are learning Financial Express Online. These are; (Master of Technology) Transportation and Systems Design, (Master of Technology) Transport Systems Engineering, (Master of Science) Transport Technology and Policy, (Master of Science) Transport Economics and (Master of Business Administration) Transportation Management. While the two courses which being taught right now are for under-graduate ones, the five new ones that will commence from next year will be post-graduate courses. In the Railway Budget 2014, the National Rail & Transport Institute (NRTI) was announced. On the university gathered steam in the last one year, with the ministry claiming that files were cleared at record speed, according to IE report. To begin with, the railway university is part of the of the erstwhile Gaekwad state which also houses the National Academy of Indian Railways. In the meanwhile, Indian Railways has identified a 100-acre plot in Vadodara and is in talks the Gujarat state government to acquire it. The Railway University will be built on the lines of the Pratap Vilas Palace of the erstwhile Gaekwad state, the official report state. This course will start in such a way, the first batch, 103 students have been shortlisted of which 17 are girls. The visiting faculty from eminent institutes such as XLRI School of Management and Indian Business School, Hyderabad will teach the students. NRTI has been deemed to be university under the de novo category. A newspaper advertisement was issued in May this year inviting students to register on nrti.in and as many as 11,582 students registered. In July 2018, an online aptitude test was held for 3640 candidates across 25 cities for admission to 100 seats of the two undergraduate courses being offered in the first academic session 2018-2019, the report said. On September 4 the final 103 students were asked to report on campus for the and two courses have begun from September 5. The first batch of students is being given a 50 percent scholarship on the annual course fee which is Rs 75,000. Without scholarship and including all charges, the annual course fee is Rs 91,000, according to IE report.